Police are investigating a shooting incident that left a 15-year-old in extremely critical condition and three others wounded yesterday evening on Rosa Parks Boulevard and Godwin Avenue, according to police director Jerry Speziale. The incident took place at about 8:30 p.m. outside a liquor store where a large group of people congregated. The drive-by shooting is believed to be gang related with two city gangs battling for territory in crime-ridden 1st and 4th Wards. Not much detail is known about the four victims. One of the victim was a juvenile female and another was a 20-year-old, according to police. 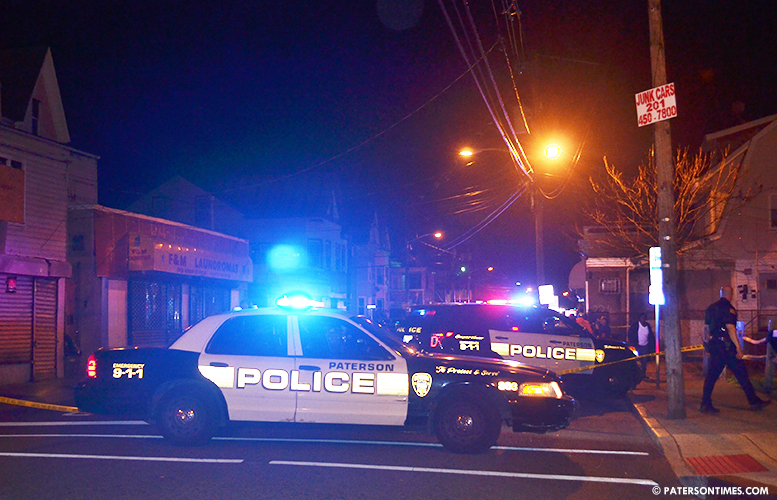 Speziale said the city police detectives and Ceasefire Unit are investigating the incident with assistance from the Passaic County Prosecutor’s Office. He said city police placed additional units in the 4th Ward after last night’s shooting to clear corners and take proactive measures. “These are acts where somebody makes a conscious decision to go down a city street and shoot,” said Speziale. 4th Ward councilwoman Ruby Cotton said she has noticed the streets were filling up with people as the weather took a warmer turn. She said just 15 minutes before the shooting took place she had passed through that area. “It’s just awful,” said Cotton. She said she was not sure whether police caught any suspects. “I’ve been calling all week to put extras during the weekend,” she said referring to additional police presence in her ward. Authorities have ruled the 15-year-old’s case as homicide. He is brain dead at the hospital, according to police. Reverend Della Fischer, who has been designated to speak for the distraught family, said the victim still has life in him. Fischer said the mother is currently at the hospital. “We are crying out for help for our city,” said Fischer. We need to seek resources and assistance from the state to provide our mayor and police director the resources to address this, said Fischer. “My heart pours out to the family,” said Spezaile. He said the 15-year-old and his own son played traveling basketball together some years ago. The 15-year-old is a freshman at the Paterson Charter School for Science and Technology, according to his coach Tommie Patterson. “This hurts bad,” said Patterson, head coach at the charter. Correction: The shooting involved four victims not five. A previous story stated there were five victims.